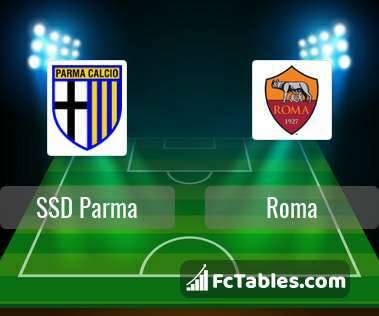 Kick off SSD Parma-Roma in Serie A on today 14:00. Referee in the match will be Gianluca Manganiello. Team SSD Parma is located in the middle of the table. (12 place). In 5 last games (league + cup) SSD Parma get 5 points. SSD Parma from 2 matches at home can not beat any rival. Not lost the match at home from 4 games. Players SSD Parma in Serie A with the highest number of goals: Roberto Inglese 5 goals, Gervinho 5 goals, Bruno Alves 2 goals. Most assists in the club have: Roberto Inglese 1 assists. Injuries in the team SSD Parma: Francisco Sierralta. 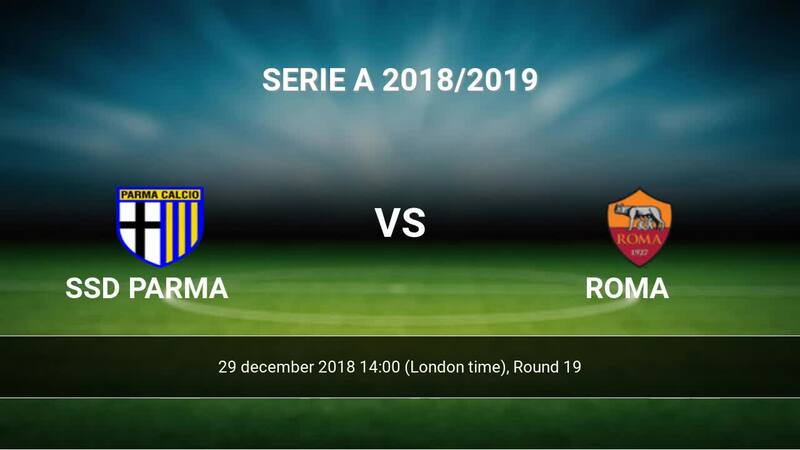 Team Roma is located in the middle of the table. (7 place). Last 5 games (league + cup) finished balance 8 points. From 5 matches away can't win a match. The best players Roma in Serie A, who scored the most goals for the club: Stephan El Shaarawy 5 goals, Aleksandar Kolarov 4 goals, Bryan Cristante 3 goals. Most goals developed: Stephan El Shaarawy 1 assists, Aleksandar Kolarov 2 assists, Bryan Cristante 3 assists. Injured players Roma: Daniele De Rossi, Davide Santon.